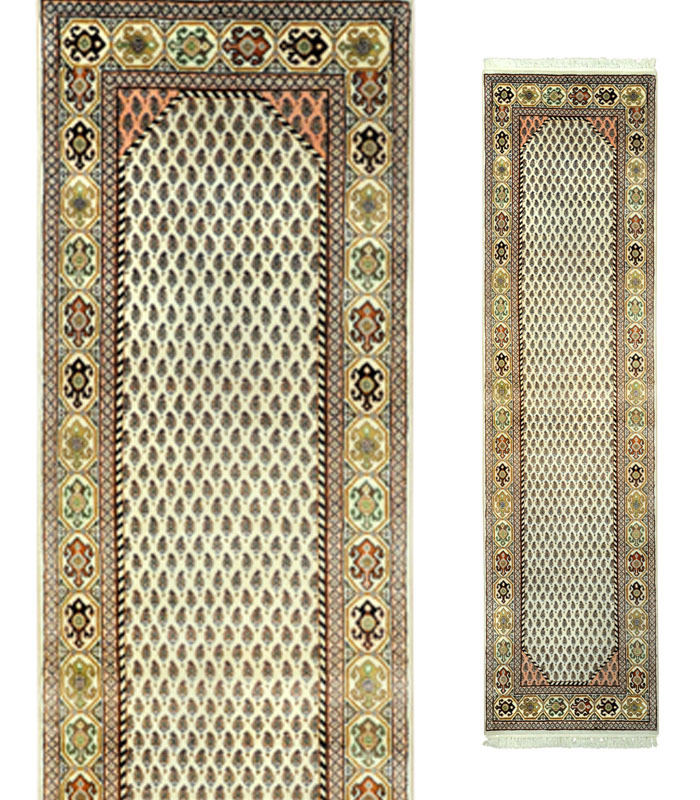 Hand knotted wool runner with a beautiful raised silk traditional design in soft earth tones. Please call 1-866-860-1710 for more information. 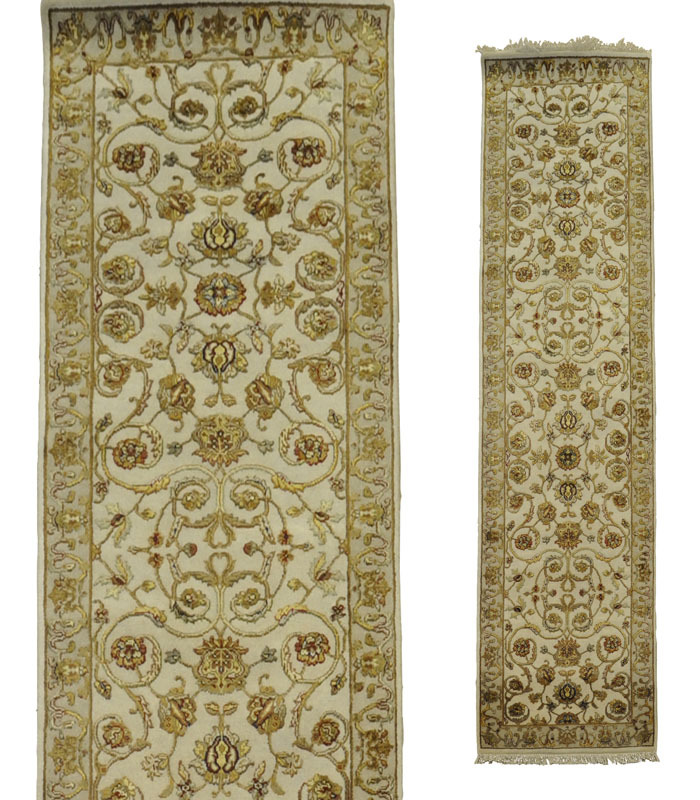 Ivory field with a red border in this beautiful hand knotted runner. Please call 1-866-860-1710 for more information. 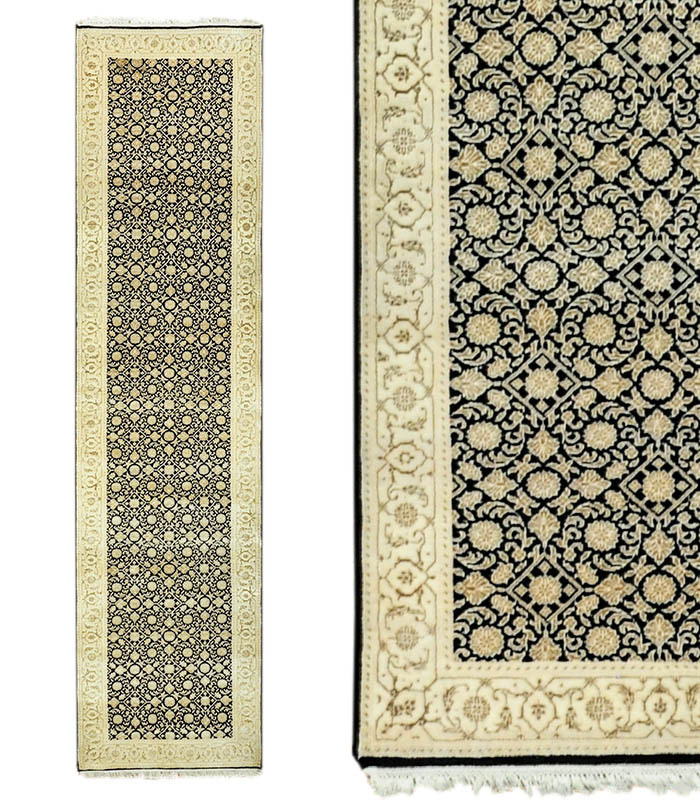 Hand knotted wool runner with an all over patter on a pale beige background. Please call 1-866-860-1710 for more information. 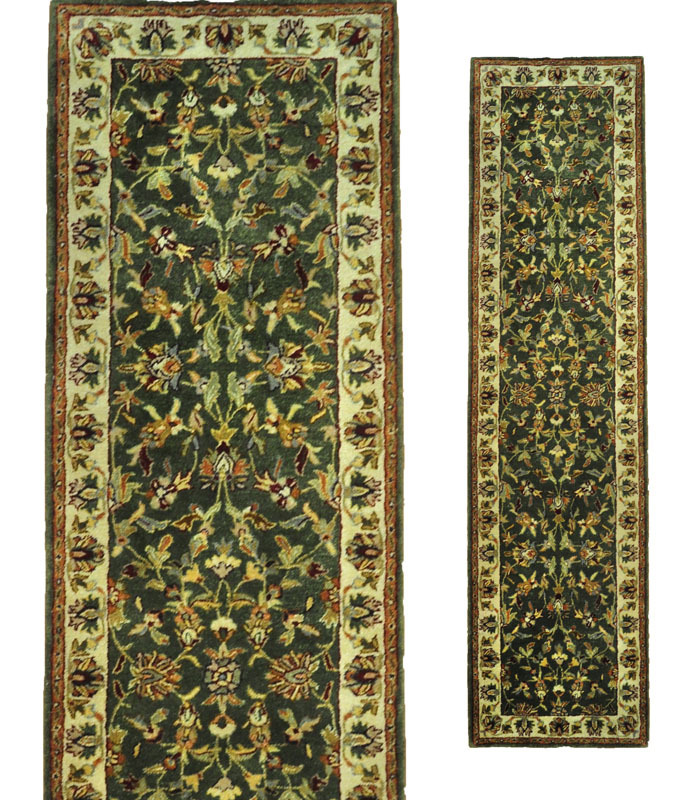 Traditional hand knotted wool runner in green with a beautiful ivory border. Please call 1-866-860-1710 for more information. 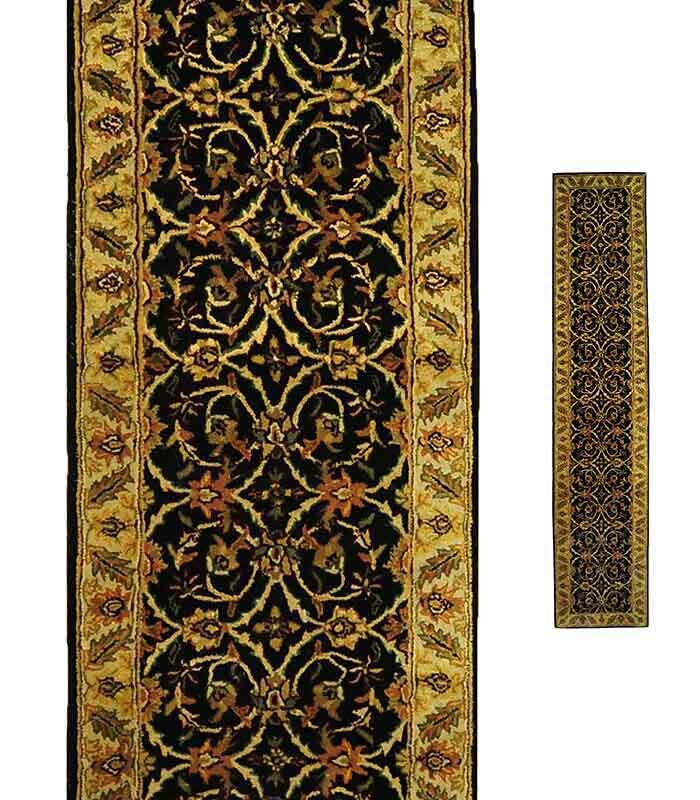 Black gold and red hand tufted wool traditional runner. Please call 1-866-860-1710 and talk with a sales representative at anytime. 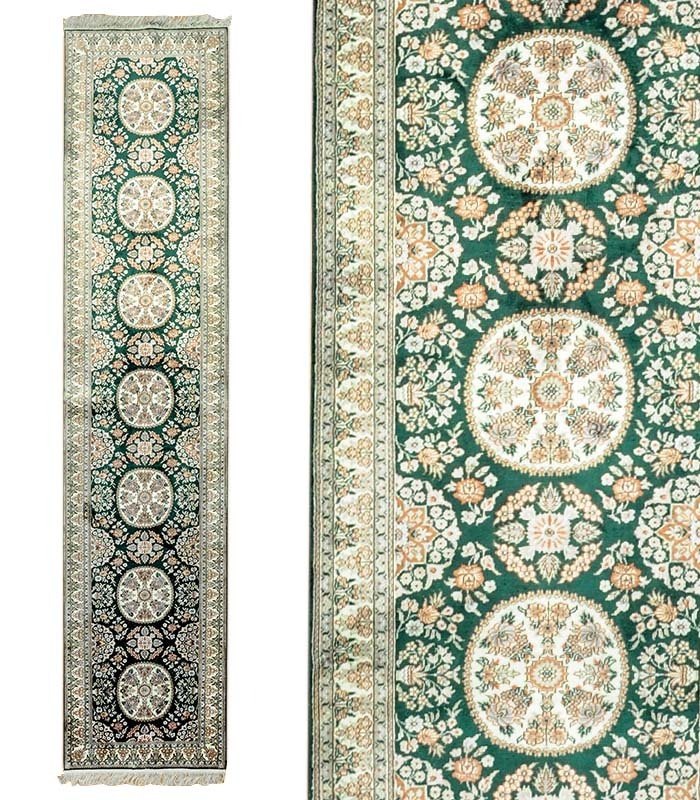 Hand knotted silk runner with a rich green field and ivory and salmon accents. Please call 1-866-860-1710 and talk with a sales representative at anytime. 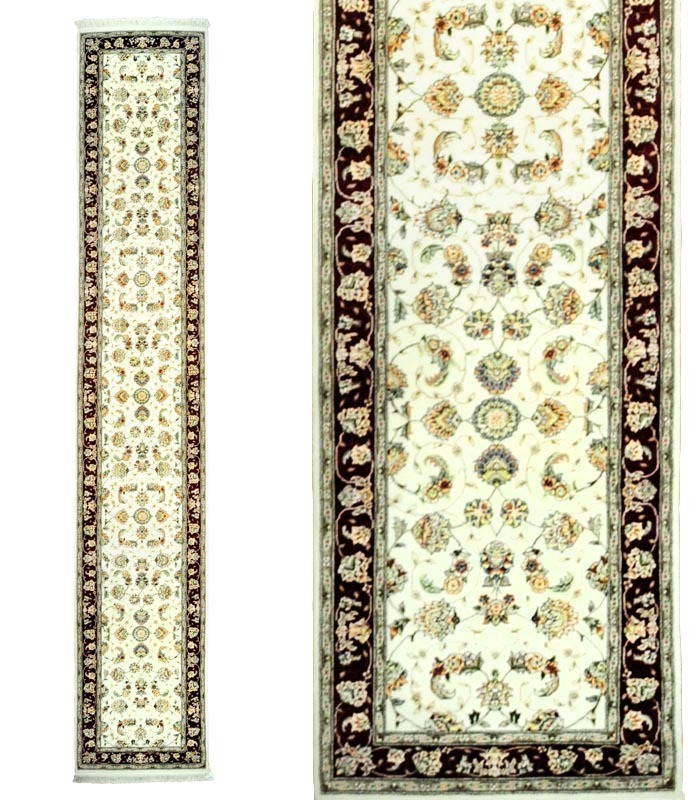 Hand knotted silk runner in green with an ivory border in a medallion pattern. Please call 1-866-860-1710 and talk with a sales representative at anytime. 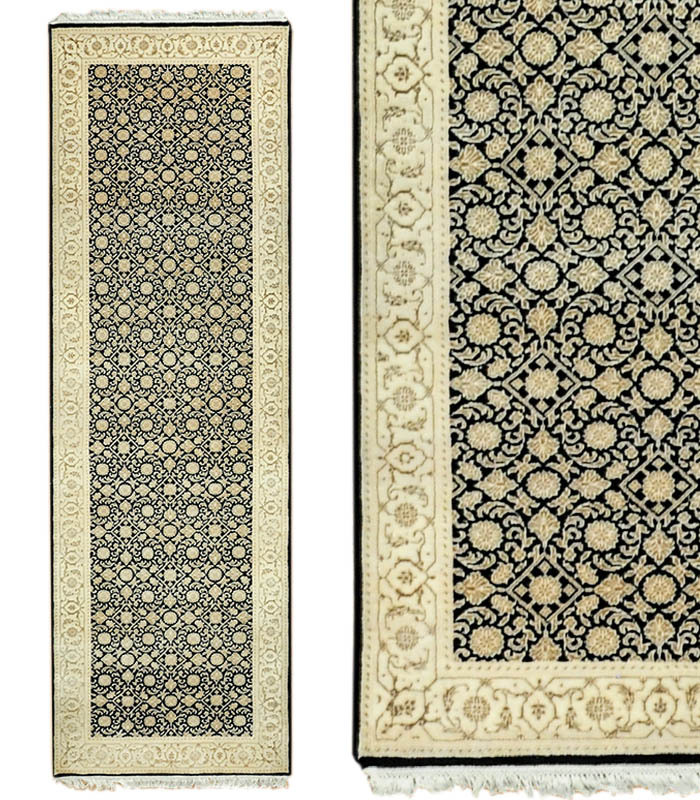 Beautiful cream and navy wool rectangular runner rug. If you require additional information for this productz please call 1-866-860-1710 and talk with a sales representative at anytime. 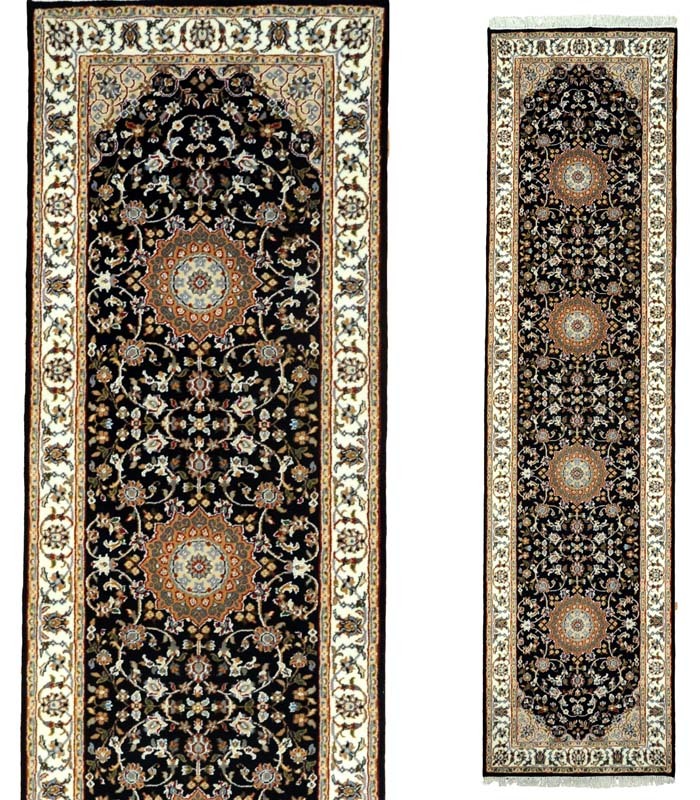 Beautiful wool Navy cream rectangular runner rug. If you require additional information for this productz please call 1-866-860-1710 and talk with a sales representative at anytime. 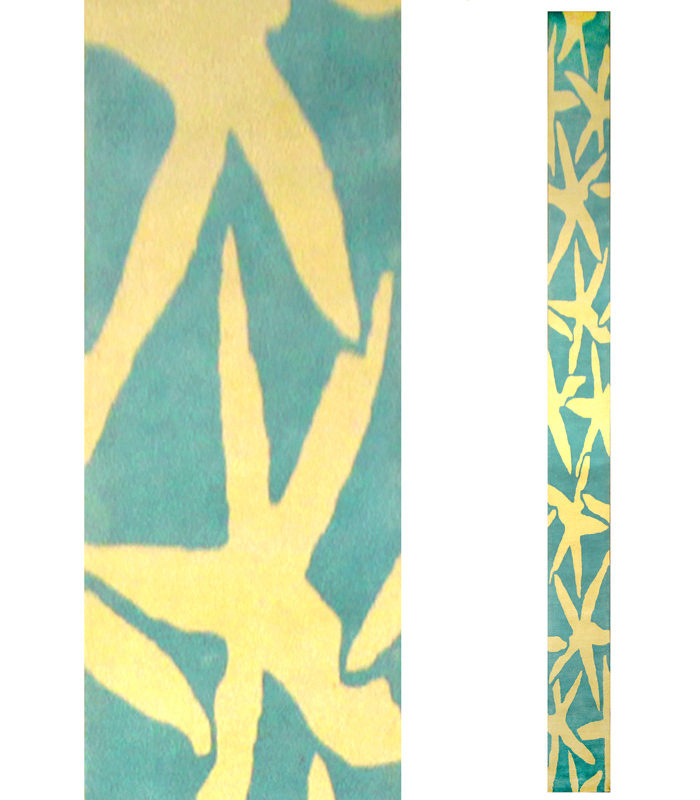 This rug was custom made as a stair runner in a custom design and size for a beach house. Please call 1-866-860-1710 and talk with a sales representative at anytime. 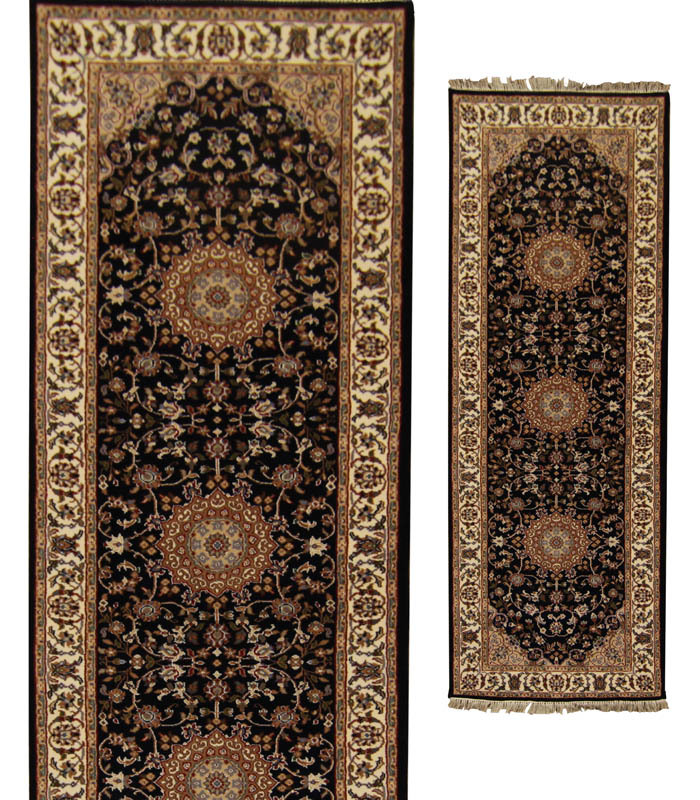 Beautiful black ivory hand knotted 100% wool rug runner. If you require additional information for this productz please call 1-866-860-1710 and talk with a sales representative at anytime. 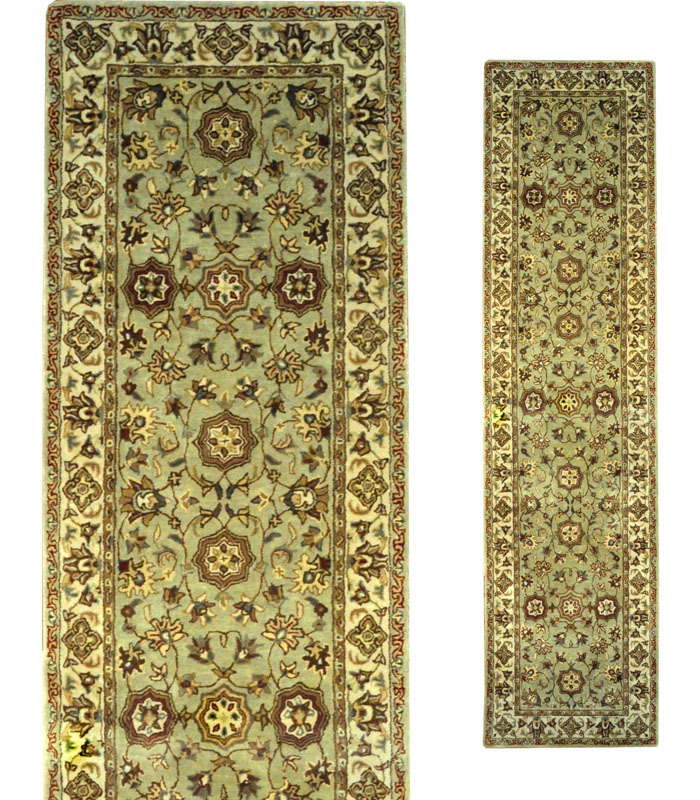 Hand tufted wool runner in dark green with earth tones and a beige border. Please call 1-866-860-1710 and talk with a sales representative at anytime. 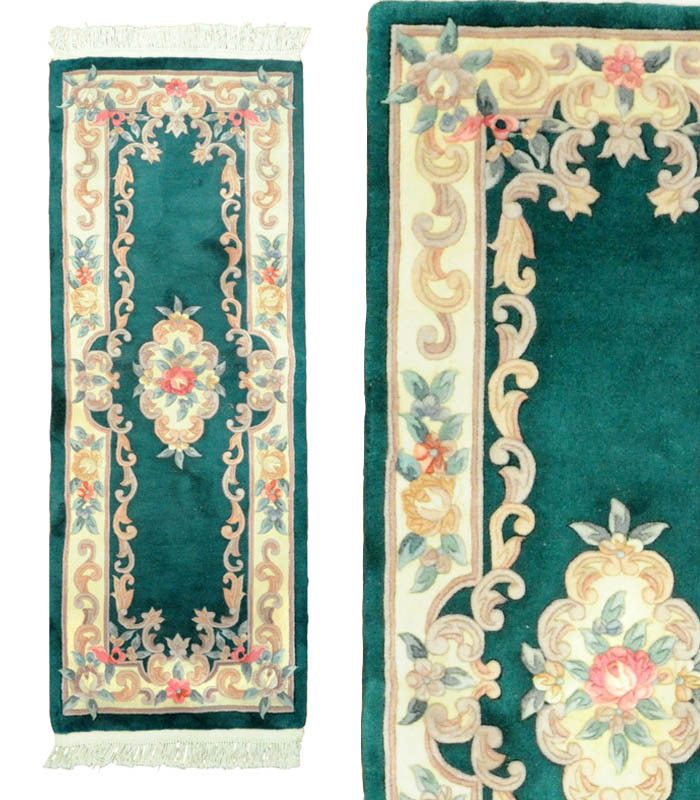 Hand tufted wool runner in earthy tones with a soft celery background, Please call 1-866-860-1710 and talk with a sales representative at anytime. 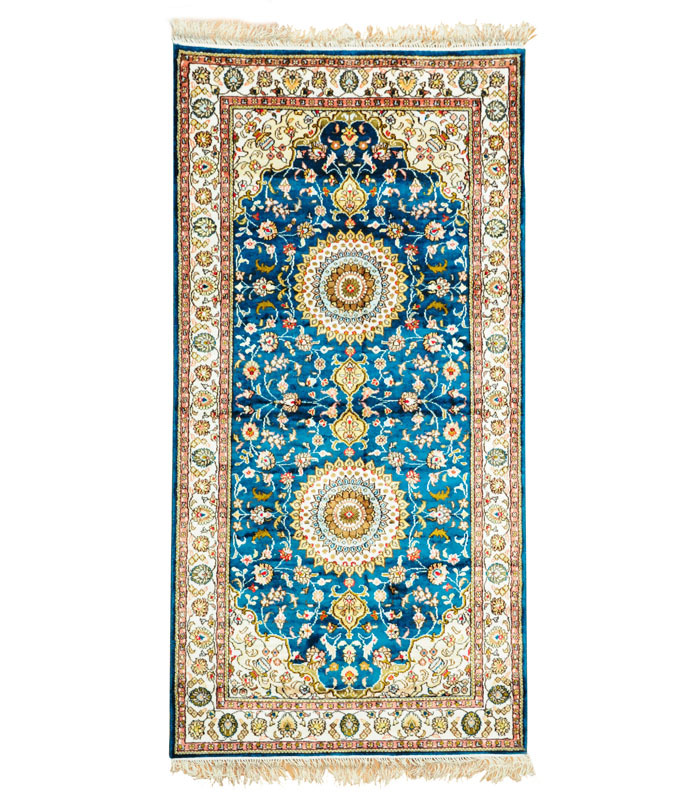 Hand knotted silk runner in teal gold and ivory. Please call 1-866-860-1710 and talk with a sales representative at anytime. 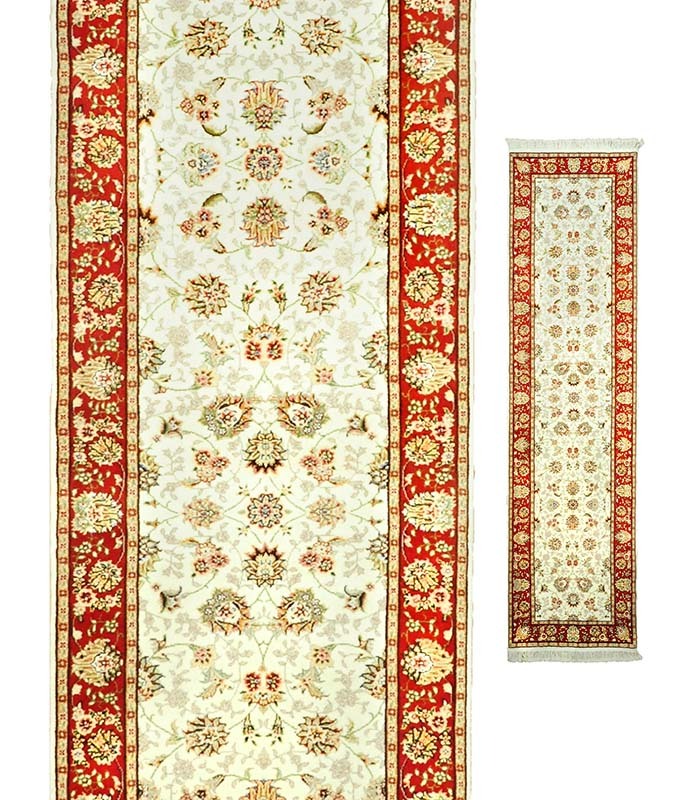 Beautiful hand knotted wool runner with silk highlights in ivory and a deep red border in a traditional pattern. Please call 1-866-860-1710 and talk with a sales representative at anytime.